If you’d like to install carpet flooring in your Lakeland, FL home, contact us at Jim’s Floor Depot. The most common flooring option in a home is carpet. There are thousands of colors, styles, patterns, and weaves, so you can find a choice of carpet flooring that fits your style as well as your budget. Carpet flooring feels soft and comfortable against your feet, especially in bedrooms and other areas in the home where you often don’t wear shoes. The price range of carpet is wide, depending on both the texture of the carpet, as well as the brand. If you prefer a thicker, softer carpet, you will have to spend a little more. You can choose from carpet flooring options in two main categories: natural and man-made. The most luxurious option is wool, since it combines elegance with a durable feel that will last. 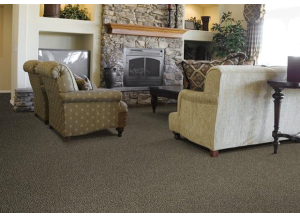 A common choice is nylon carpeting, offering stain-resistance, strength, and durability at a much lower price than wool. Polyester feels soft and pleasant, but won’t hold up as well under a lot of traffic, so it may be a better option in a home that doesn’t have a lot of family members coming and going constantly. If you have carpet flooring in your bathroom, you might want to choose acrylic because it is moisture-resistant. Acrylic carpeting is also a great choice in a humid climate, such as Lakeland, Florida, since it resists mold and mildew growth, keeping your family protected from health symptoms that can come from wet and moldy floors. At Jim’s Floor Depot, we offer installation of carpet flooring in your home. Contact us today for more information! At Jim’s Floor Depot, we do so much more than hardwood, tile, carpet, and laminate flooring. We can also help you with any bathroom or kitchen remodeling need! 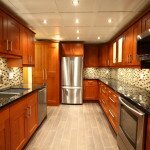 From granite countertops and plantation shutters to bathroom wall tiles or kitchen cabinetry, we do it all! Please contact us today for more information or to request a quote. Save as much as $500 on your home improvement project! Winter Haven, Bartow, Dundee, Davenport, Haines City, Lake Wales, Auburndale, Lakeland, Eagle Lake, Lake Alfred, Highlands City, Mulberry, Celebration, and Kissimmee, FL. Need A Low-Cost, High Quality Flooring Option? Vinyl is Your Answer! Design Your Own Home Improvement Projects and Watch Them Become Reality! Get the Custom, Durable Flooring You’ve Always Wanted with Tile Floors!